Before moving to New Jersey, many told us we were moving to the land of tomatoes and corn. So far, they have been right. 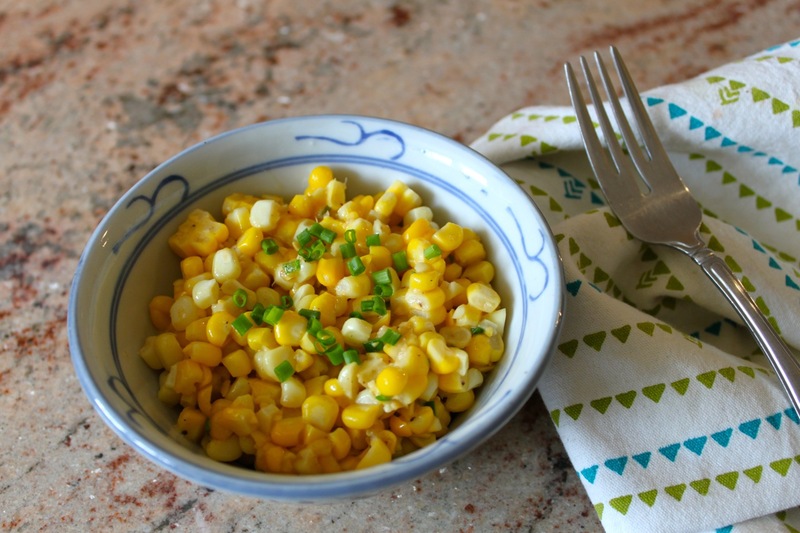 Here is a quick, easy dish that takes advantage of all the delicious fresh corn out there. We had corn last night for dinner and I had one ear leftover. This recipe can be made with one ear for a single serving or a big bunch of corn for a large group. The corn can be boiled, steamed, or grilled. In a small pan over medium heat, melt butter, miso, and water. Add ginger and mustard. Once mixture begins to bubble, add corn. Toss to coat and to heat through. Add almost all of the chives, save some for garnish. Taste and season with salt and pepper. Once corn is heated through, remove from heat and pour into bowl. Top with extra chives and serve. This dish is good hot or at room temp. Enjoy! 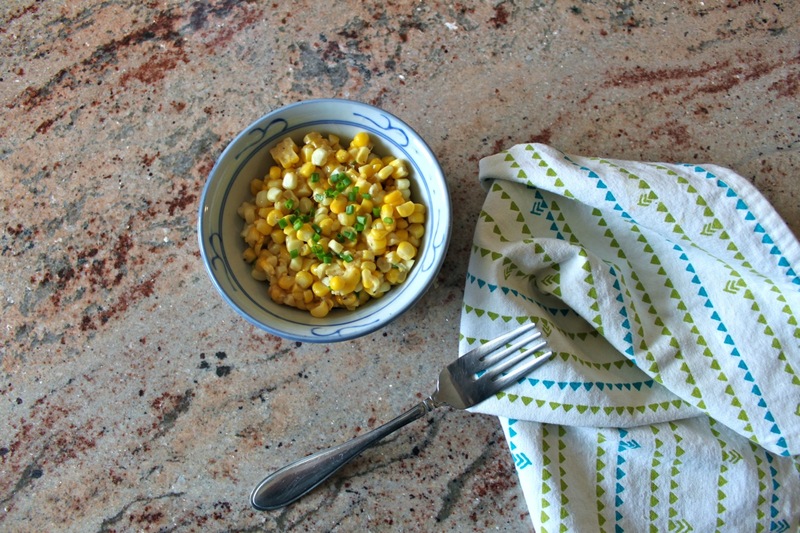 Categories: easy, side dish, vegetarian | Tags: butter, corn, fresh, miso, quick, side dish, simple, summer, vegetarian | Permalink. Mini Pies for Pi Day!